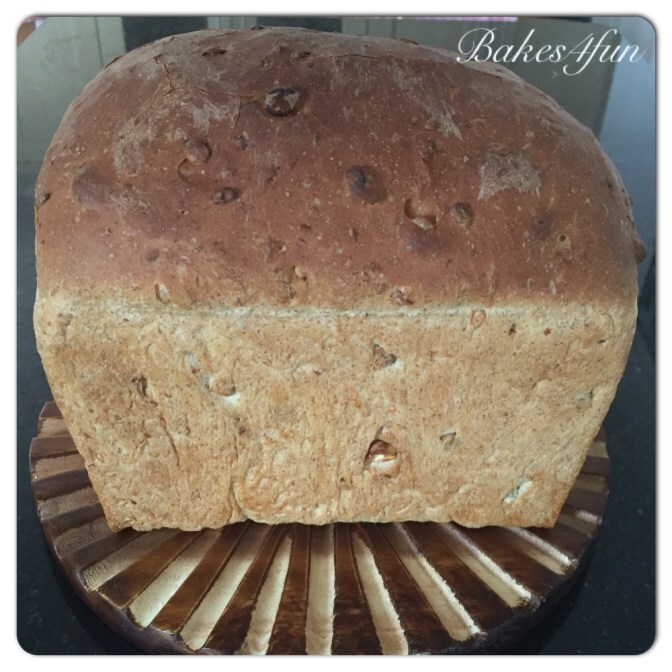 We are thrilled to share this brilliant homemade bread recipe with you from one of our favourite bakers at bakes4fun. Robert bakes everything from giant Jaffa Cakes and doughnuts, to tasty cookies and fantastic loafs such as this one we're bring to you today! Robert recently purchased a 3lb deep loaf tin from us and decided to bake this brilliant homemade loaf with seeds and nuts using the loaf tin, and we loved the recipe so much that we decided we had to share it with you! There's no better smell in the world than the aroma of freshly baked bread, it just takes your breath away! You can introduce a whole range of different textures and flavours to your bread and this loaf has, by having nuts and seeds added to it to give it an added crunch! This brilliant recipe and image is from the equally brilliant Robert at bakes4fun and we highly recommend you check out his blog if you're looking for some baking inspiration! Step 1 - In a Large bowl, mix both flours together. Then add the yeast and salt to the opposite sides of your bowl. Step 2 - Then add the mixed seeds and nuts to your flours and then mix through. Step 3 - Once mixed, create a well in the centre and add the rapeseed oil and honey. Step 4 - Add 300ml water and with your fingers like a claw, mix thoroughly in the bowl until the sides of the bowl are clean. Slowly add the additional water into your mix. Step 5 - When all the water is added, tip the dough onto your work surface and knead for a good 10 -15 minutes. Hold the bread with one hand and push the dough away from you with the heel of your other hand, rotate the dough and keep repeating this process until the dough is smooth. To test if the dough is ready, take a piece of it and stretch until it is thin enough to see the light through it. If the dough rips while doing this, knead a little more. Step 6 - Once it's ready, work your dough into a ball and place into an oiled bowl. Cover with oiled clingfilm and place in a warm room. Depending on the temperature of the room, it may take between 1 and 2 hours to prove. Step 7 - When your dough proves (doubled in size), knock it back by punching the air out of the dough. Step 8 - Tip the dough back onto your bench, to shape for your tin. Stretch the dough into an oblong shape. Then take the top of the shortest edge of the dough and fold a third over to the centre and then do the same with the bottom edge. Step 9 - Once shaped, make sure the seam is on the bottom and tuck the ends under a little. Then Place the dough into your tin and cover again. It will take around 45 mins to 1hr to prove. Step 10 - Just before your bread is ready to bake, heat your oven to 240°C / 220°C fan / Gas Mark 9 and place a tin with ice cubes on the bottom of the over, this helps the bread to rise and gives it a great crust. 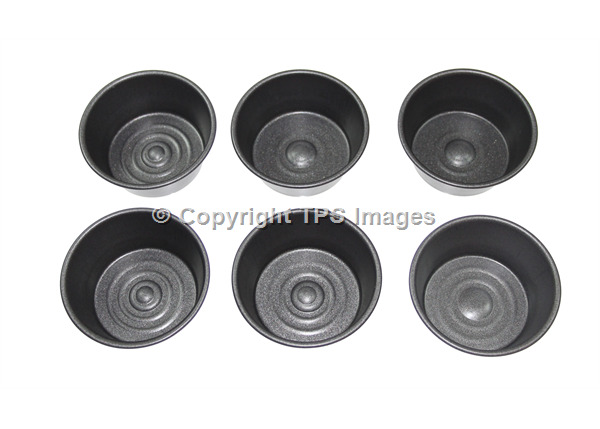 Step 11 -Place your tin in the oven and immediately reduce the temperature to 220°C / 200°C / Gas Mark 7 and bake for 30 minutes. The bread should sound hollow when tapped on the bottom; this will indicate when your loaf is cooked. Step 12 - If you want a crisp crust, after the 30 mins have past, remove the bread from the tin and then place back into the oven for a further 5 minutes. Step 13 - Stand the bread on a wire rack and allow to cool fully before storing. Full the recipe along with some step by step photos to guide you, visit Robert's blog here. Summertime is here (although you may not have noticed given the weather we've been having of late) and you know what that means...summer tea parties! And you simply can't have a proper British tea party without some proper British scones. 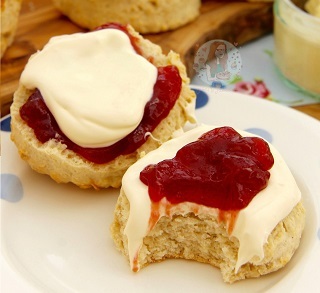 We're huge fans of scones here at British Bakeware - they're so simple yet simultaneously so delicious and tasty. Mind you, the humble scone is no stranger to a bit of controversy: for centuries, there has raged a great debate as to how the word 'scone' ought to be pronounced. Does it rhyme with 'cone', or with 'gone'? We may never reach a true consensus, just as we'll probably never decide once and for all whether it's the cream or the jam that goes on first! Whatever your personal preferences, though, there's one thing we can all agree: scones are brilliant! If you're looking to bake some scones of your own, we highly recommend that you check out this recipe from Jane's Patisserie! Jane is an incredibly talented baker, and her buttery scone recipe is really simple to follow. Nothing sets off a friendly gathering or garden party, quite like a selection of delicious snacks and nibbles! Whether it's as part of a tasty buffet, or just to give you guests something to munch between drinks, small and easy-to-prepare dishes are a great way to put on an impressive variety of food, without all the stress. Nuts and seeds of course, are one of the most popular nibbles all year round; whether it's mixed nuts at Christmas or salted peanuts with a summer cocktail in the sun. If you fancy something a bit more adventurous, however, such as coated and flavoured varieties, your shopping list could get rather more expensive by the time you've finished! If you want to serve up a delicious and unusual, nutty snack at your next get-together, why not try creating your own roasted almonds? Today, we're sharing a recipe for sweet, cinnamon flavoured almonds from the All Recipeswebsite, but you could always try out your own flavours and ingredients in future! Step 1 - Preheat the oven to 120 degrees (250F). Lightly grease your roasting tin. Step 2 - Lightly beat your egg white, and add the water. Beat the mixture until frothy but not stiff (we're not making meringues!). Step 3 - Add the almonds to the egg whites, and stir them until they are well coated. Step 4 - In a clean bowl, mix the sugar, salt and cinnamon, then sprinkle this mixture over the coated nuts. Step 5 - Toss the mixture together, then spread it out evenly in your prepared roasting dish. Step 6 - Bake the almonds in your prepared oven for 1 hour, giving them the occasional stir, until they are golden in colour. Step 7 - If you're making your snack in advance, make sure you store them in an air tight container to keep them fresh.